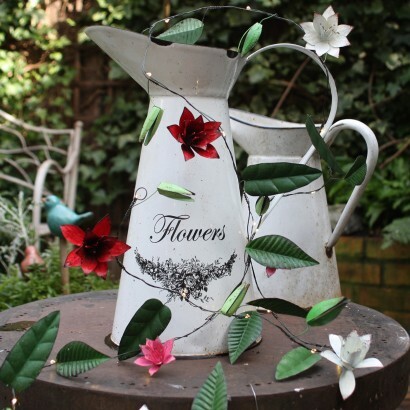 Decorated with Clematis flowers in red, pink and white, complimented by vibrant green leaves and buds, these wire floral string lights make a stunning addition to your home or garden. 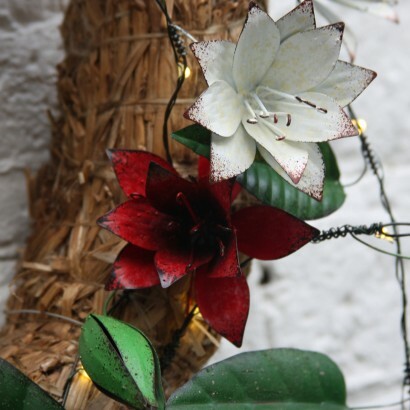 Suitable for use indoors or outdoors, these metal fairylights are lit by twenty warm white LEDs that sit along the poseable wire for beautiful decorative effects. 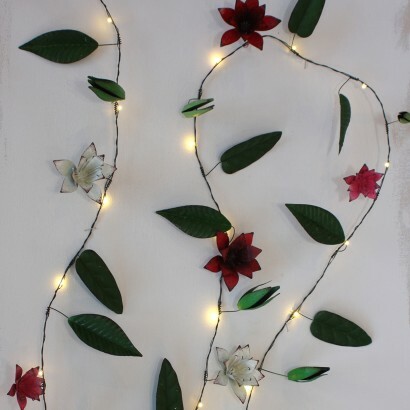 Manipulate the wire to create your desired shapes and effects, and these stylish battery operated floral lights will add natural beauty to your space in or outdoors.